Professional, affordable roofers in Toronto and Southern Ontario for roof repair and replacement 100% guaranteed. 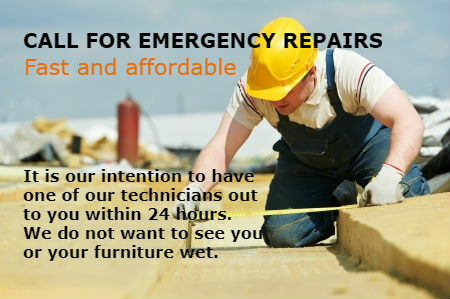 Emergency Repair and Leak Estimate Fees are deductible at 50% of labour when work is done. We're more than flat roofs. 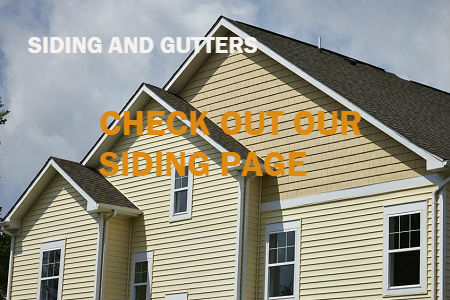 Check out our residential Shingle Roof Systems and Spray Coatings Systems available to you. Our partners and professionals are experienced and fully up to date on all of the different types of shingle roof systems and other sloped roof products and we can discuss any installation you are interested in. Sloped roof systems include asphalt shingle, Slate; Faux Slate; Cedar Shingle or Shake; Metal Roofing and recently the development and availability of long lasting Rubber Shingle roofing material made from recycled tires. For commercial and industrial roofs, we have our application system of rubber coating with allows for a completely waterproof and seamless covering that can actually outlast most conventional flat roof systems. The coating dries almost instantly and can be walked on without fear of damage or separation of seams. In fact, the coating is not only for roofing but can be used on industrial floors, decks, most flat surfaces that require a durable, waterproof finish. Whether you are a current client or not, we encourage you to have us come out from time to time to inspect your roof just to make sure it's in good repair. Please Inquire about our annual plans which are available whether you live in Oshawa, Toronto or Mississauga. Storms, high winds, algae, or maybe just a general lack of maintenance can lead to the start of roof issues needing attention. Enough about us. Here are some of the basics of Flat Roofing & Coatings in Vaughan, Toronto and Southern Ontario. What are single ply membranes? These are the membrane materials (flexible sheets of compounded synthetic materials) that are used for many types of flat roof replacement. They are referred to as thermosets or thermoplastics, and apply to some of the systems below. Single plies are covered within some of the following systems. ​BUR is the traditional hot-tar-and-gravel roof and probably one of the more moderately priced choices for flat roof replacement, however, not as popular as it once was. Four or more layers of waterproof material alternated with hot asphalts, which can have a rather strong odor; and often ballasted (which really means small stones are keeping the roof material in place). Small smooth stone is basically embedded in the final layer. Advanced roofing materials such as fiberglass membranes have made their way into the process, improving the performance and longevity. Rubber roofing (EPDM) is synthetic rubber roofing membrane that is in fairly wide use in North America. Its major advantage is the cost factor, often less expensive than other types of flat roofing. It is, however, more susceptible to tearing and does not look quite as appealing as the others. ​TPO roofing is typically installed as fully adhered or mechanically attached. The white membrane remains exposed during the life of the roof giving it some benefit for UV rays. It's a single-ply reflective roofing membrane made from polymerized synthetics including some rubber. The TPO system has been available for over 25 years. The PVC membrane system features fusion-welded seams for permanent water tightness. This is an advanced version of TPO, and it can cost a bit more. Some of the advantages are: Available in 10’ wide rolls for faster installation, fewer seams; White reflective Cool Roof surface for a reduction in air conditioning costs; long term waterproofing; exceptional resistance to solar UV, ozone, and oxidation. With two types of coatings to choose from the possibilities for repairing or recoating any roof are in your hands. Our polyurea coating greatly enhances the protection of any surface it is sprayed on. This military grade application of polyurea will leave your substrate resistant to all sorts of damage, including protection from corrosion, abrasion, chemical damage, among others. It's rock hard and waterproof for many years down the road. Our rubber coatings system will protect your flat roof and render it waterproof as well and has more flexibility in certain situations. ​Some considerations for choosing one system over another may be its impact on the environment. We're here to help as there are so many thoughts to contemplate before a decision can be made if one is to make the best choices for the environment. The rubber membranes from the EPDM system seem to have the most traction for recycling, becoming walkways and pathways. The roof membrane is very much like bicycle tires and can be reconditioned. On the other hand PVC lasts longer which is a consideration for less waste annualized. While not as extensively recycled, asphalt rubber membranes roofing is recycled as new roofing and in new road paving. An interesting byproduct of ballasted roofs is the use of soil as the ballast. The Green Roof is becoming more popular as time goes by. More and more energy efficient materials are also becoming available and we welcome an opportunity to talk about this with you. ​and where do we go? 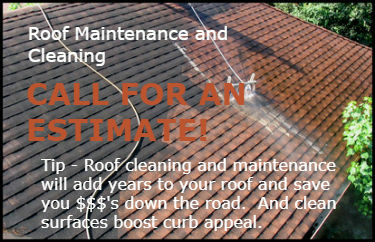 Any roof needs maintenance and ongoing care from damage due to weather. Depending on the roof type, flat roof leaks and other surface problems can arise when severe weather passes through. Heavy storms may be a good reason to trigger a roof inspection to make sure that damage such as ripped or blown away material, or that water has not pooled anywhere on the roof. Water must drain properly and not be allowed to hang around for more than a couple of days. Joint areas such as vent flashing, gutters and and A/C units need to be checked thoroughly for any separation. Our associate professionals have been fixing roofs for many years. 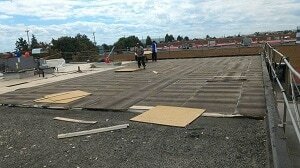 They are thoroughly trained in the available flat roof applications, which is a continuous learning process since materials and systems continue to evolve. The ongoing training and updating of roofing knowledge keeps trade insurance up to date while maintaining relevance to today's values. ​One of the most important aspects of roof refurbishing and controlling potential leakage is in the flashing joints around vents, chimneys, skylights and any other roof protrusion. ﻿​Assess your roof in the most comprehensive way possible. All seams, joints and edges will be examined. Drains will be thoroughly checked. as mentioned, water pooling from clogged drains will destroy a roof. We will give you a detailed report of our paid for assessment. ​We will give recommendations. If work is required, a detailed explanation and firm cost will be provided. We will lock that price in so you can be certain that there will be no surprises. We will complete and sign our guarantee. 10 to 20 year materials guarantees are available. Safety equipment, employee training and safety incentive programs keep our insurance costs under control. ​And remember, we are experts on the application of flat roofing systems. We do not have a ‘sales team’. We will serve you directly. And we are nice guys. If you don’t need replacement, we'll tell you.